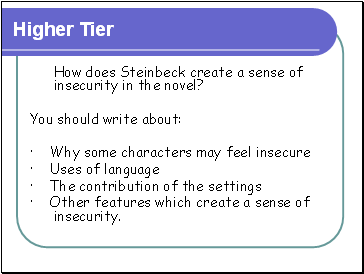 How does Steinbeck create a sense of insecurity in the novel? · Other features which create a sense of insecurity. 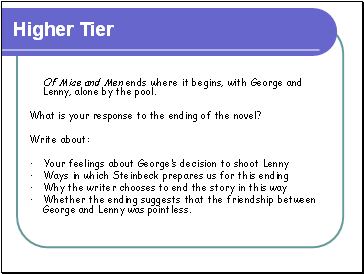 Of Mice and Men ends where it begins, with George and Lenny, alone by the pool. What is your response to the ending of the novel? · Whether the ending suggests that the friendship between George and Lenny was pointless. Hopes and dreams help people to survive, even if they can never become real. 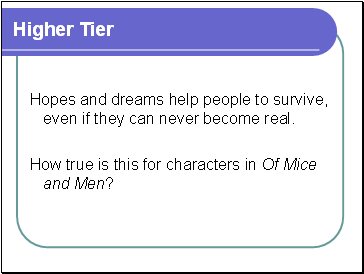 How true is this for characters in Of Mice and Men? 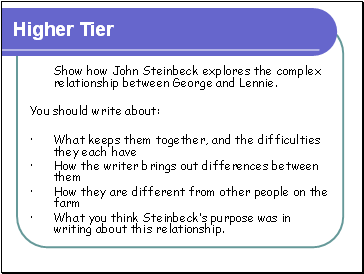 Show how John Steinbeck explores the complex relationship between George and Lennie. · What you think Steinbeck’s purpose was in writing about this relationship. 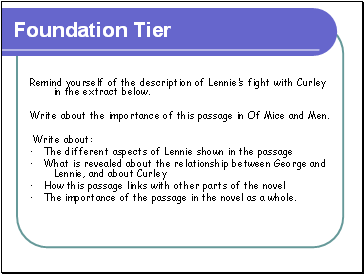 Remind yourself of the description of Lennie’s fight with Curley in the extract below. 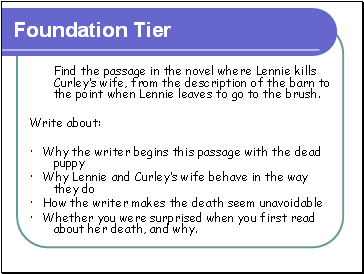 Write about the importance of this passage in Of Mice and Men. · The importance of the passage in the novel as a whole. 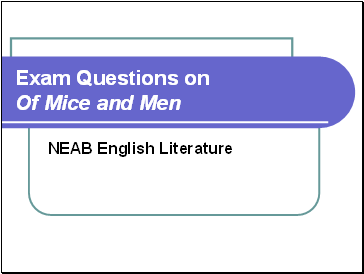 Many characters in Of Mice and Men are shown to be lonely. 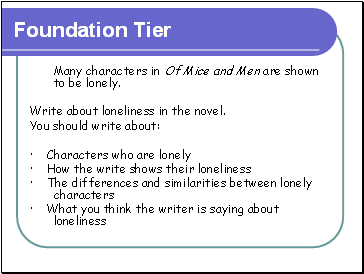 Write about loneliness in the novel.